Quick couplers for excavators are invented. Swedish excavator manufacturer Åkerman is the first to introduce a quick coupler. 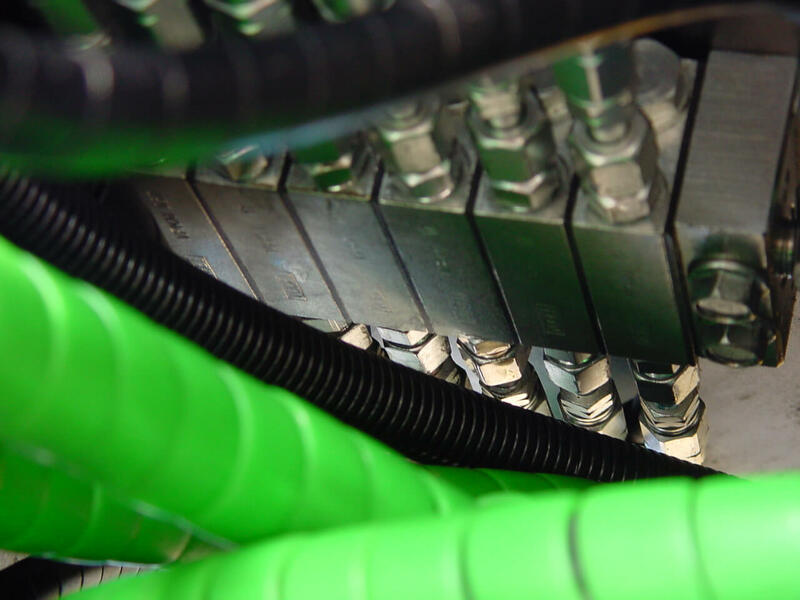 The Swedish market for quick couplers is starting to gain momentum and more companies begin to manufacture quick couplers as they become more popular in Sweden. The Swedish market is dominated by five companies: Dento, Bofors, Överum, Cerapid and SMP. Some companies turn their attention to the tiltrotator concept developed by Noreko. In 1986 Steelwrist predecessor Dento starts to develop a tiltrotator. The crisis in the building sector in the early nineties creates major profitability problems throughout the industry. Towards the end of the decade the tiltrotator is starting to be a common work tool not only in Sweden, but in the Nordic region. Gjerstad Industri A/S sees the potential in the tiltrotator and acquires Dento. Gjerstads owner dies unexpectedly and the planned factory in Knivsta is called off. Dsolution AB is formed. The development of a new generation of tiltrotators based on the experience from the eighties and nineties is started by Bernt Wedberg, and a prototype series is presented. Stefan Stockhaus and Markus Nilsson starts Steelwrist AB and acquires the development project from Dsolution AB. A period with a strong focus on product development, industrialization and growth starts. The product portfolio is expanded and production capacity is multiplied. Launch of our own control systems and quick couplers in 2008. The financial crisis leads to a period of downsizing and rationalization. The Preferred Supplier Agreements with Volvo Construction Equipment creates conditions to consolidate operations and build a new production plant in Sollentuna, Sweden. Strong growth. Sales is started in several new markets. Second generation of Steelwrist control system XControl is launched in collaboration with SVAB. ISO certification for both Quality (ISO9001) and Environment (ISO 14001). Large investments in product development and steel casting – the world’s first fully steel casted tiltrotator, the X07, is launched. Steelwrist patented quick couplers with Front Pin Lock launched together with NCC. The X20 tiltrotator is launched and safe couplers are introduced also on tiltrotators. Steelwrist safe couplers gain ground, and when alternative solutions are presented Steelwrist is the only solution that works on all excavators, big and small, new and used. OEM cooperation with Yanmar Construction Equipment begins. The X32 tiltrotator is launched and added to the product range for large excavators (up to 33 tons). A sales organization in Germany is established and the Lehnhoff standard tiltrotators enters serial production. Continued strong growth and a focus on new markets. The product range is broadened further in order to continue to grow outside Scandinavia. OEM cooperation with JCB begins. A cooperation with MultaVEX begins and screening buckets is added to the product range. The X26 tiltrotator is launched. Continued strong growth for the company and several new products are added to the portfolio. As a part of the strategy to create a global standard for automatic quick couplers for excavators, SQ Auto Connection is launched. At the same time the High Flow tiltrotator technology is launched. X14 tiltrotator, Quantum Control System platform, ToolRec, Powertilt with Front Pin Lock technology, grapples, compactors, TMX are other new products. North America and South Korea are new markets with our own representation. Move of head office and a new manufacturing facility of 12 500 square meters in Rosersberg, Sweden. Launch of sweeper and V14 self-cleaning electrical connector for SQ quick couplers. Sales representation established in Italy and Japan.